Looking for a column, tank or mixer for your process and scale up needs? 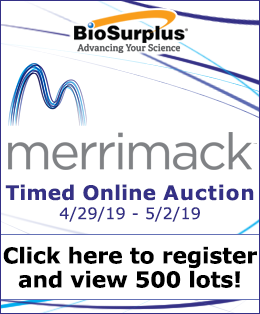 BioSurplus carries a wide variety of used process and scale up equipment: chromatography skids, detectors, filtration equipment, oxygenators, slurry packers, temperature jackets, waste water treatment equipment and more. Browse our catalog of high-quality equipment from trusted manufacturers such as Millipore, Merck, GE Healthcare, Amicon and more. 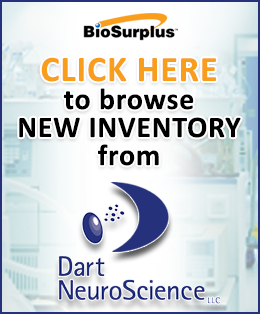 If you have any questions or don't see what you're looking for in our catalog, please contact our sales team at 858-550-0800, x201, or sales@biosurplus.com. Our in-house experts are on call to provide installation, service and repair, preventive maintenance, decontamination services and move management. For more information please contact our service team at 858-550-0800 x306 or services@biosurplus.com.